Whether you’re looking for a Kozy Heat Fireplaces dealer, shopping for Valor Fireplace dealers, or simply don’t know what brand of fireplace you may want, Stamford Fireplaces is here to help. 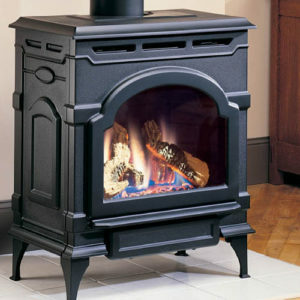 The decision to purchase a new fireplace for your home comes with its fair share of benefits. There’s no denying that it adds a fresh new look, feel and ambiance to any room. And who doesn’t love getting cozy by the fire on a cold winter’s night? The crackling flames, the flickering light, the feeling of calm, warm comfort as the day’s stresses melt away – there’s simply no comparison. At Stamford Fireplaces, we’re dedicated to helping homeowners or builders make the right choices, with a wide range of quality gas, direct vent, and wood fireplaces from a variety of brand names. Whether you’re looking for Kozy Heat Fireplaces, Enviro Wood fireplaces or don’t know where to start, our extensive inventory means we’ve got the right products for your budget and lifestyle. With so much variety in our design centre and a helpful, professional staff ready to answer your questions, we can help you choose the brand that best matches your needs. We also offer a free in-home estimate, and will create a comprehensive design to help ensure we understand what you’re looking for – and that you get it. Learn more about our selection of Kozy Heat Fireplaces and other brands to discover which one is right for you. Contact us for a free in-home estimate or stop by our design centre at 6997 Oakwood Drive today!